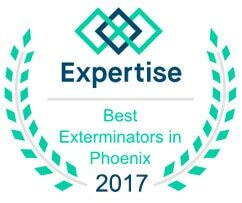 Phoenix Bed Bug Expert is a fully licensed and insured pest control company specializing in the extermination of bed bugs. With 8,000+ houses successfully treated, we have the expertise and knowledge to exterminate your bed bug infestation. Bed bugs are the only pest we treat. Our bed bug heat treatments and chemical/pesticide treatments are 100% effective against bed bugs. We offer a one year guarantee with our heat treatments and up to a six-month guarantee with our chemical treatments. 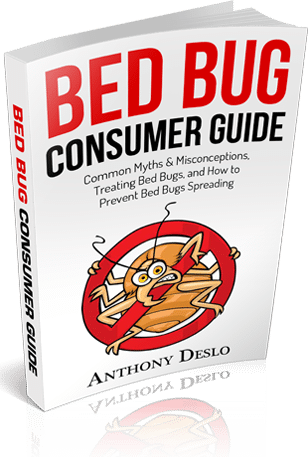 When it comes to bed bugs, they are the most difficult pest to eliminate. For this reason, you want to make sure you hire an exterminator that has extensive experience locating and eliminating bed bug infestations. We are not a general pest control company and ONLY work with bed bug infestations. We are fully licensed and insured to treat all of Arizona (AZ OPM License #9292). 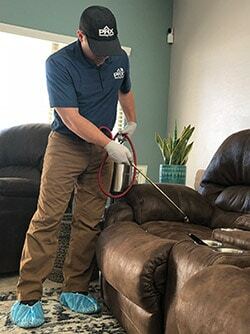 With over 5 years of business, we have extensive experience on how to identify bed bug infestations and can provide the best treatments for homes and businesses. We use only the highest quality products to ensure the safety of your family and pets. Because we are so confident in our heat treatments, they come with a one-year warranty. If you ever experience bed bugs during your warranty period, just give us a call and we will be back to retreat at no cost to you. 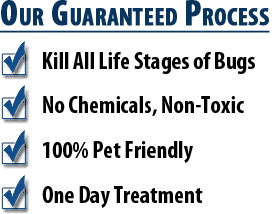 Our bed bug chemical treatments are also 100% effective at killing bed bugs and comes with up to a six-month warranty. 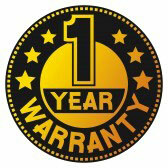 Just like our warranty for heat treatments, just give us a call during your warranty period and we will retreat. Unlike the heat treatment, a chemical treatment does not work instantly. Living bed bugs must come in contact with our pesticide and all bed bug eggs must hatch and also come in contact with our pesticide. This entire process can take around 30 days. Regardless of which treatment you pick, if you have our bed bug warranty with our service, you will completely covered for the entire length of the warranty. Contact us today by calling (480) 351-6545 for a free estimate. Our team is composed of Flagstaff bed bug specialists that are all licensed, bonded, and insured.